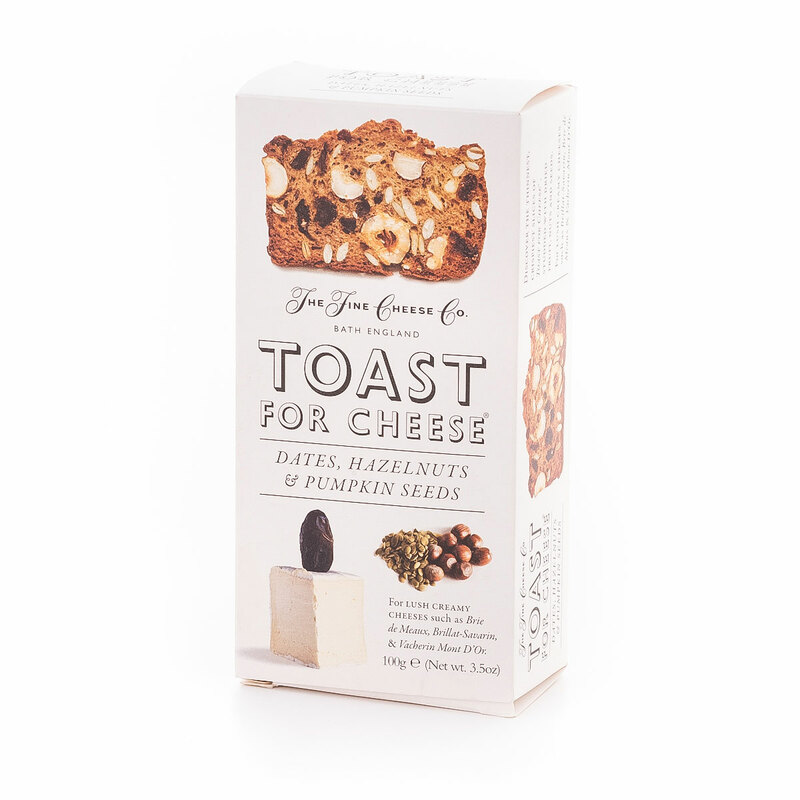 Toast and cheese are better together...especially when enjoyed with a nice glass of Veuve Clicquot Champagne! 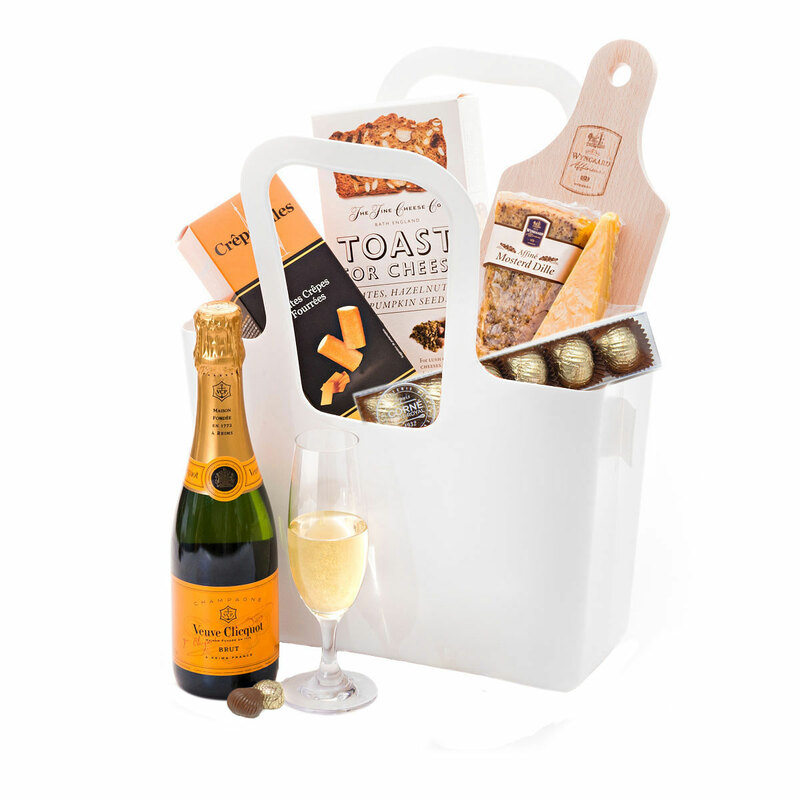 A handy reusable Koziol "Taschelino" white tote is filled with a delicious collection of Dutch cheese, gourmet crisps, Belgian chocolates, and Champagne for a perfect picnic on the go. 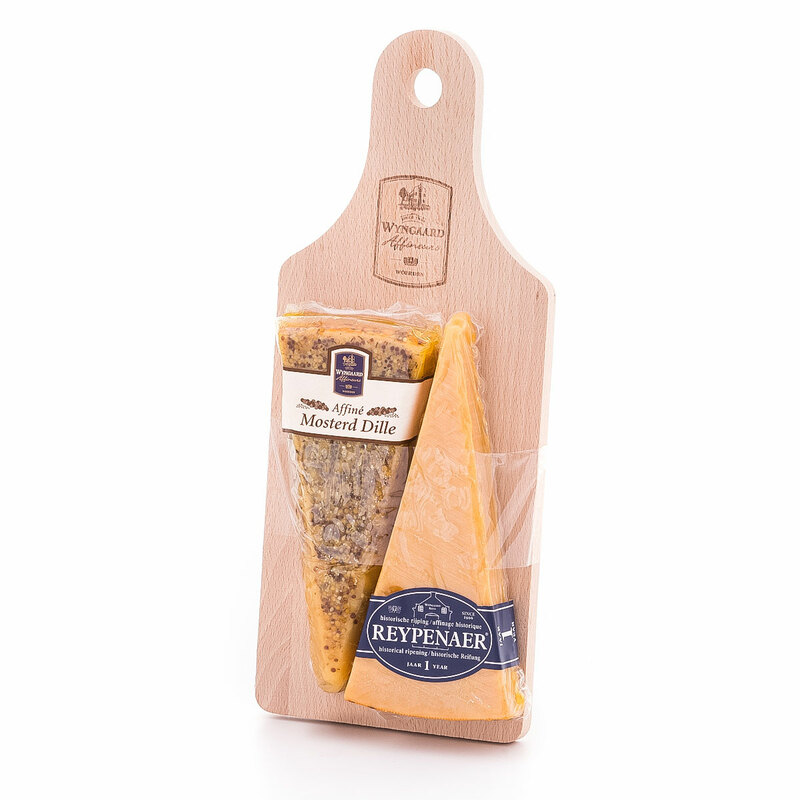 A duo of delicious Dutch cheeses from Wyngaard are presented on a classic wooden cheese board for serving. 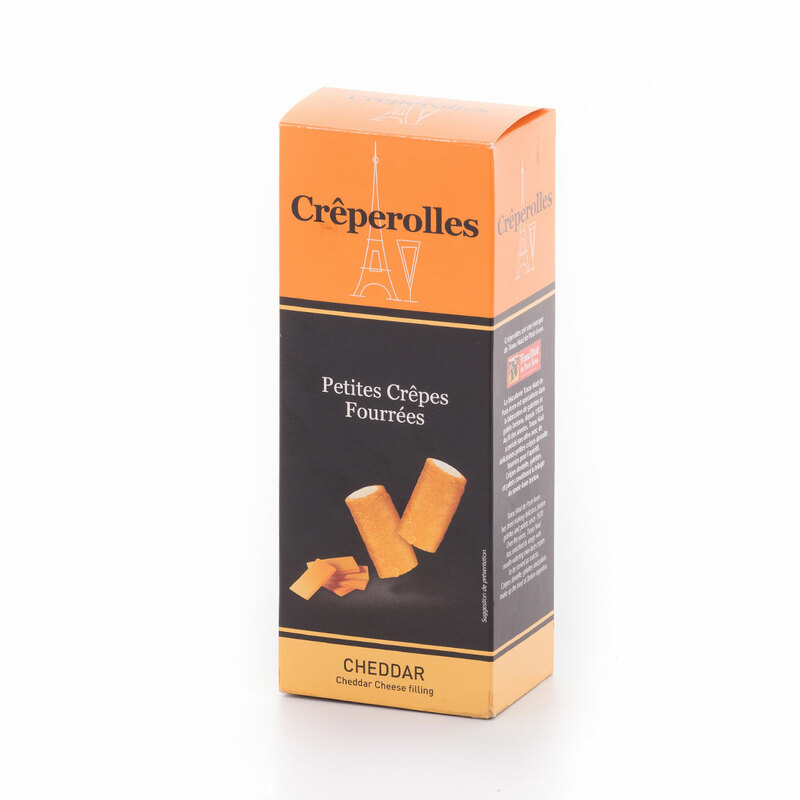 Enjoy the cheese with The Fine Cheese Co. Toast for Cheese and tasty Millcrepes Crèperolles Cheddar. A half bottle of Veuve Cliquot is just the right size for sharing a toast. 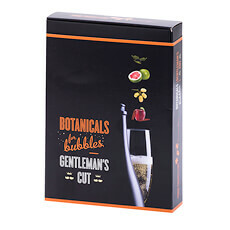 A superb marriage of freshness and power and a deceptively pale color with fine, persistent bubbles, Veuve Cliquot offers a delicately bready nose with a richness of fruit and long lasting effervescence. 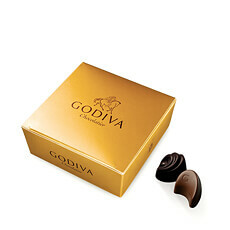 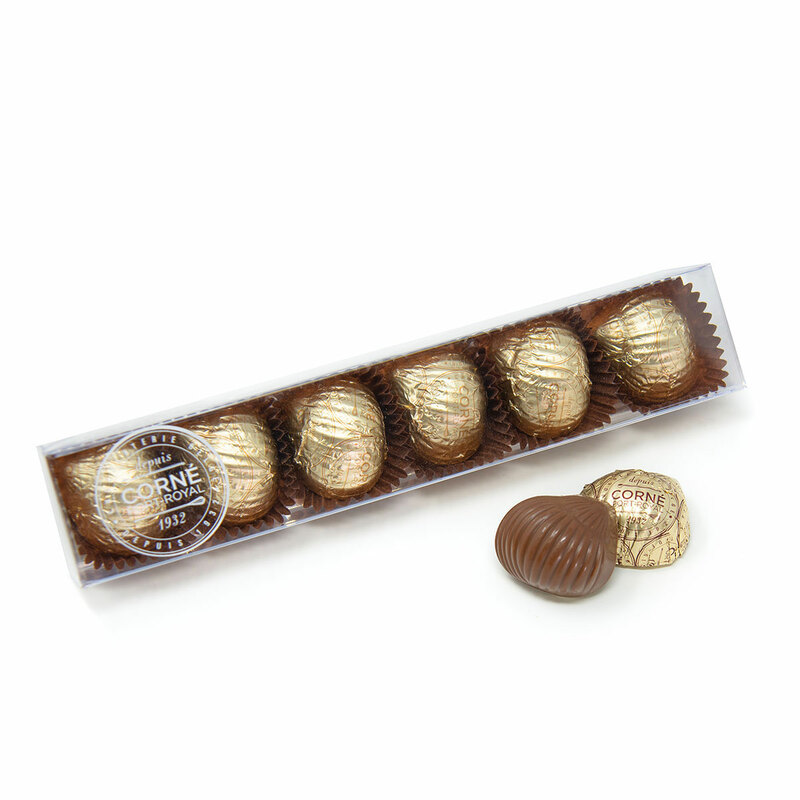 Galler's Belgian milk chocolate pralinés are a lovely sweet treat to enjoy with the Champagne. 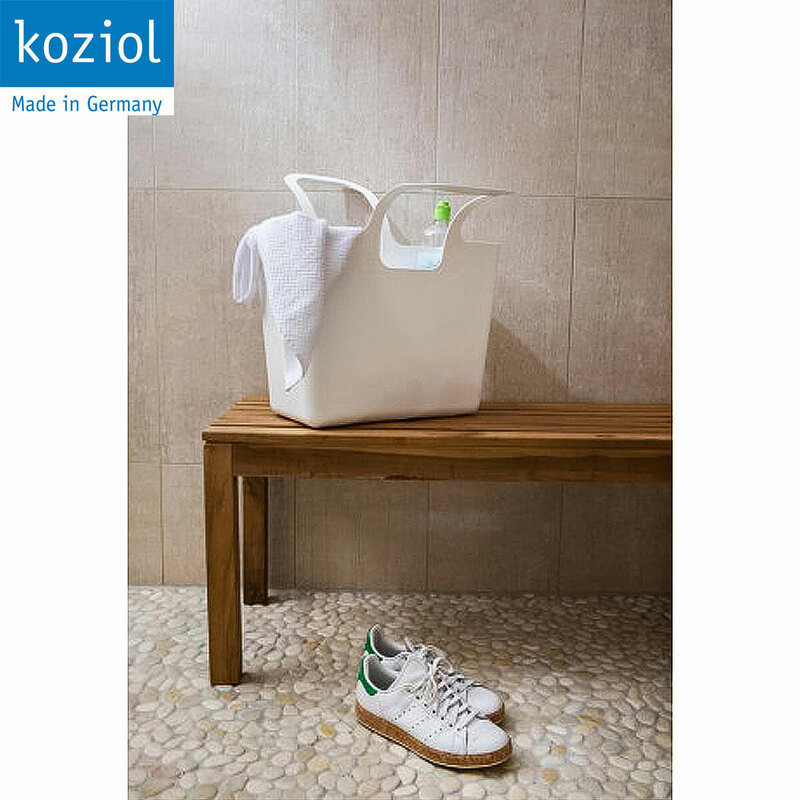 Everything is packed into a white Koziol tote bag for a memorable picnic on the go. 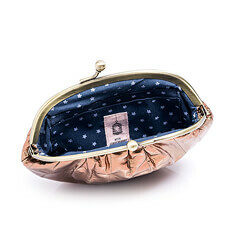 This is a wonderful gift idea for spring or summer holidays, couples, a special birthday, an anniversary, or other important occasion.